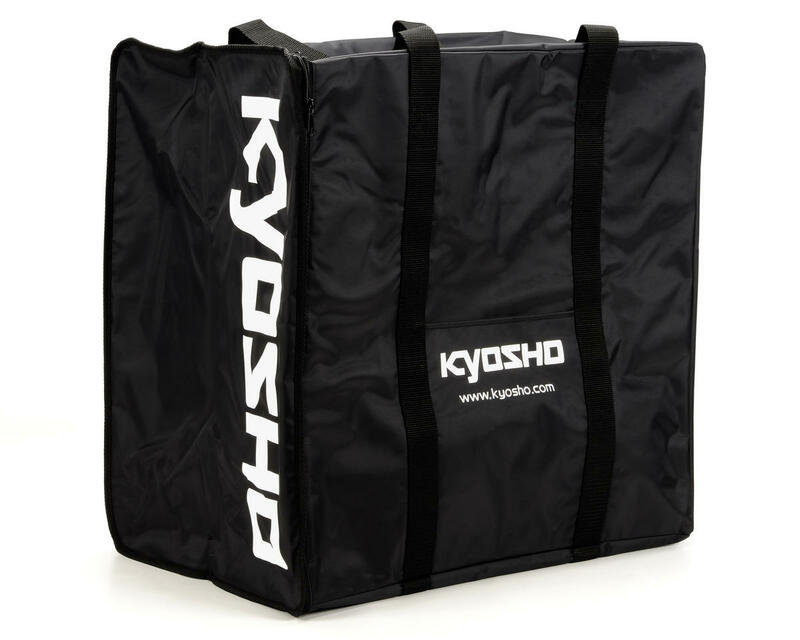 The Kyosho Large Size Pit Bag is perfect for 1/8 scale buggies, or 1/8 on road cars! This bag features 3 separate drawers that slide into heavy duty riveted sleeves. Each drawer and sleeve are made from industrial strength plastic that allows the drawers to slide easily and will hold up to years of abuse. NOTE: Drawers and sleeves are folded flat to reduce shipping costs, and must be assembled. I have all 3 sizes of kyosho pit bags and not sure about the sc. But I'm sure able to Carry 3-8scale buggies in the large kyosho bag. I would not buy this bag. No support so the draws get stuck easily and the draw material is flimsy. There are other brands that are far better. Only good is that I liked the color. The material of the bag is very soft and protected. The insert can be used for a long time by making it sturdy. There is an error in the inner box dimension of the overview description. Correctly, Width: 13 "x Length: 20" x Height: 6.5 ", sct does not fit.